Nikon D610; 24,0-70,0 mm f/2.8; length 35; 1/8 sec; f/8; CPL; ISO 50. Good to see a little sunlight in your shots Great ocean action captured here. 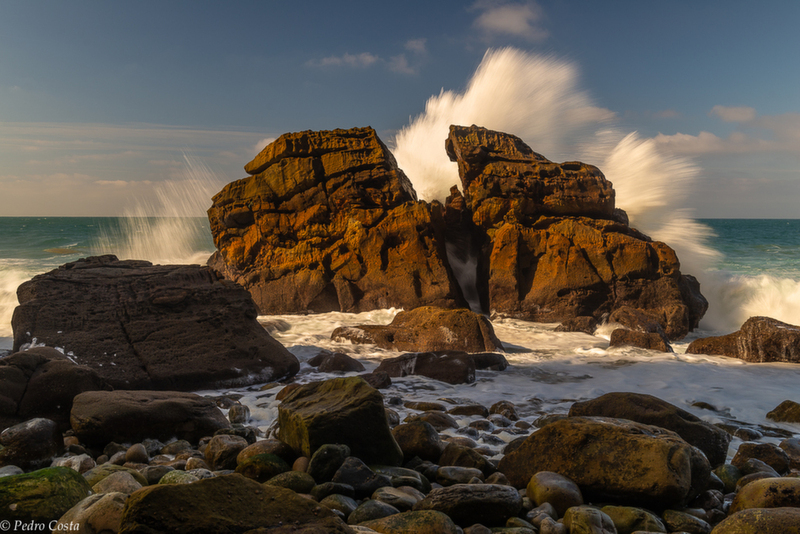 A fine capture of the waves crashing against the rocks, Pedro! Sweet light too. Very dramatic! The light on the breaking wave is wonderful. Great illustration of water power. Perfect shutter speed. Lovely light and I really like your chosen shutter speed!! !